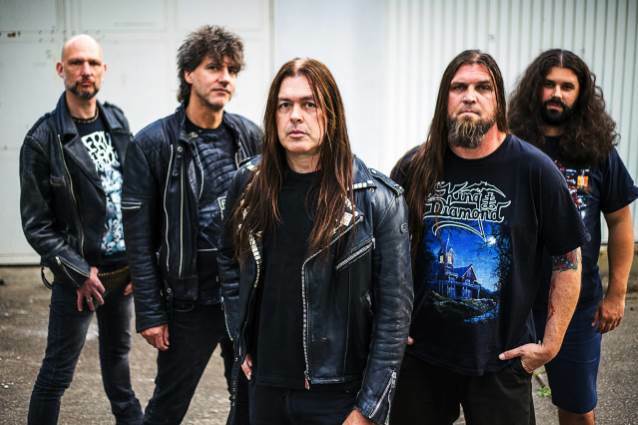 Massacre Records has announced the signing of the German thrash veterans ASSASSIN. The band's new album will be released in the spring of 2019. Originally formed in 1985, the band has already released numerous demos, albums as well as a DVD. They aren't strangers to the stages at festivals and in clubs either. ASSASSIN's latest studio album, "Combat Cathedral", came out in May 2016 via Steamhammer/SPV. After founding member and vocalist Robert Gonella left ASSASSIN in 2014, new singer Ingo "Crowzak" Bajonczak joined the group. In late 2016, longtime ASSASSIN guitarist Michael Hoffmann exited the band for "personal reasons." He has since been replaced by Frank "Blackfire" Gosdzik (KREATOR, SODOM).